Wednesday Holy Communion worship service begins at 6 pm. All Faith Formation classes will be from 9:15 a.m to 10:15 a.m. Classes run from September to May. Immanuel Lutheran Church EWALU Day Camp Registration Opens April 1st, 2019! Registration forms can be downloaded and returned to the church office. You can now give your donations to Immanuel Lutheran online though this website. Hear Love. Eat Love. Share Christ's Love. 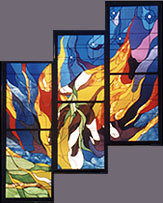 Immanuel Lutheran Church, affiliated with the Evangelical Lutheran Church in America, is a vibrant congregation located on Highway 92 on the east side of Washington, Iowa - a community of 7,300 people about 32 miles south of Iowa City. IMMANUEL, means "God With Us" and indeed, we are a congregation rich in His Blessings. Ours is a shared ministry which is characterized by friendliness, concern and love for brothers and sisters throughout God's global family. At Immanuel there is a rich blend of cultures, traditions and occupations - people of all ages joyfully learning and growing together in Christian love as we serve the community and the world. Please allow us to welcome you at next Sunday's worship service! My dear children, let us not just talk about love; let us practice real love. Regardless of your age, interests or talents, there are endless opportunities to get involved at Immanuel — to make lifelong friends, to learn and to serve the church. You are encouraged to explore and participate in any or several of these activities. 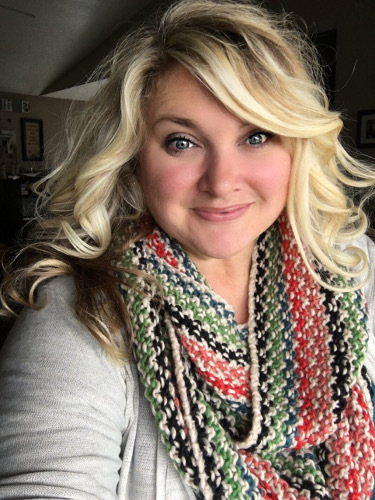 Two choirs, both under the direction of Sara Bartlett, frequently bring an extra note of joyful praise to worship services late August through late May. Mike Jewell accompanies the adult choir. There are no auditions; all that's required is a desire to glorify God with your talent. Both choirs rehearse on Wednesday; the junior choir is from 4:15-5:15 PM and the adults at 7:00 PM. The children sing once a month. Adults sing twice each month and at additional times during the church year. Women with compassion and the love of knitting/crocheting have been combined into a prayerful ministry and spiritual practice. During the making of each prayer shawl, the knitter/crocheter prayers for the love, protection, and grace of God upon the recipient. Upon completion, the shawl is held, in a loving embrace, by several members of the congregation while a blessing is bestowed upon it. The shawls are given to those in need of comfort and strength, as well as in celebration and joy. God's family at Immanuel Lutheran recognizes the journey with God both at church and at home through acknowledging the milestones in our lives. Our milestones are written upon paper rocks and posted on the Milestones board in our main hallway. Colored rocks are taken as a tangible symbol of the occasion being marked, as well as a reminder of God's presence in our daily life. The milestones are printed in Immanuel's monthly newsletter. Another option for study of the scripture. This group is studying the New Testament. It meets in individual homes on the first and third Sundays of each month. Anyone is welcome to join. Call 319-461-0404 if you are interested in joining the group. The women's bible study circle at Immanuel meets the second Tuesday of the month at the church at 1:30 PM. Formerly known as the Sew Day ladies, these women meet at the church every week on Wednesdays from 9:00 to 11:30 AM for a morning of socializing and working on various projects for Lutheran World Relief or disaster assistance. These projects include layettes, bags for school kits, and quilts. The third Tuesday of the month, ladies of the church, young and old, have the opportunity not to have to cook. Instead they meet at area restaurants to enjoy the fellowship, food, fun and conversation. Please call the church for the current monthly location. Our church building was designed to give a sense of "timeless beauty" from within, as well as a welcoming message to passers-by. In the sanctuary, gothic arches are suggested in the arrangement of the windows and the shape of the ceiling, while a more contemporary seating arrangement allows us to "gather around His table." Immanuel Lutheran Church As we arrive for worship, we're greeted by the baptismal font, reminding us that we enter God's presence through our baptism. The sanctuary itself seats approximately 200; larger groups may be accommodated by opening into the adjacent fellowship hall, where up to 200 people may comfortably share meals. The entire building is handicapped-accessible and personal sound amplifiers are available during services; ask an usher for assistance. The light and warmth of Christ surrounds us as we worship. And, especially at night, the truth of His love spills out through the windows to cheer and beckon weary travelers entering the town of Washington. The light speaks of a descent. The stars descend from the window behind the cross and spread themselves throughout the room. These stars represent the fulfillment of God's promise to Abraham, in which God promised to give Abraham many offspring, a people dedicated to the Lord. In our windows, red and orange flames also descend and spread, each one pointing to the pronouncement of a promise. 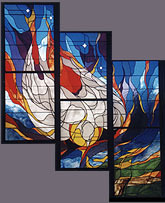 In the left window at the front, God's hand in creation holds flames which represent the promise in the white-hot moment of creation, when God made a world and pronounced it "GOOD!" The hand also holds an olive branch symbolizing the promise to Noah that the earth would never be destroyed again. 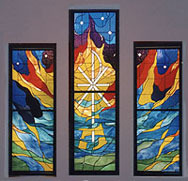 In the center window the flaming sun proclaims the promise given in Christ that all of us would be forgiven. 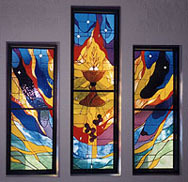 In the right front window, the flames represent the gifts of the Holy Spirit. The Holy Spirit, shown as a dove, is the guarantee of salvation through Jesus' death. The descent of grace continues as more flames tell of the promise in the Holy Sacraments. In the front west window, Holy Communion is the subject. The burning flames signify the promise our Lord made when he said he gave his Body and Blood "for you." In the rear window, the cross rises from the water, symbolizing the promise of Holy Baptism, that each day a new self shall arise within us. The cross rising from the waters is a "chi rho," a special cross constructed from the first two letters in the word "Christ" in Greek. 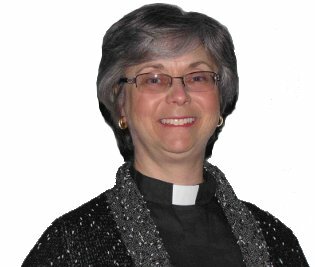 Formation of Immanuel Lutheran Church as a congregation affiliated with The American Lutheran Church. The Rev. 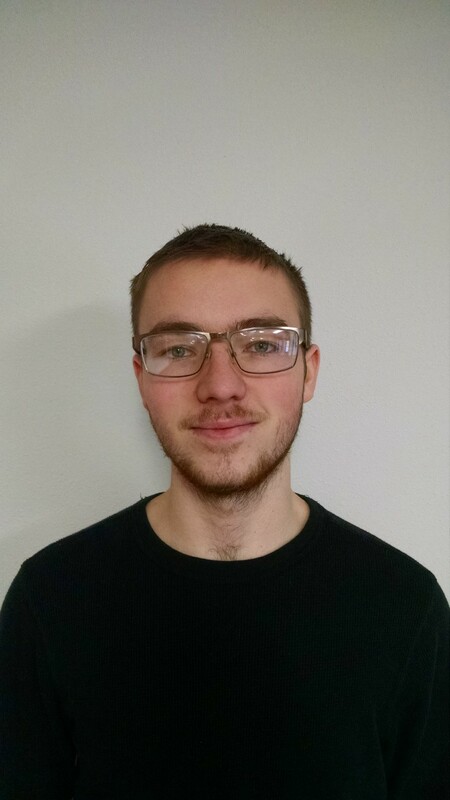 Marvin Mueller of Hope Lutheran Church near Brighton is called to serve on a part-time basis. First worship service conducted in the Farm Bureau Building, corner of East Jefferson Street and South Second Avenue. The Rev. 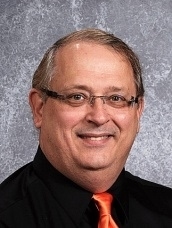 Dennis A. Stutrud is called to be Mission Developer and pastor of the congregation.